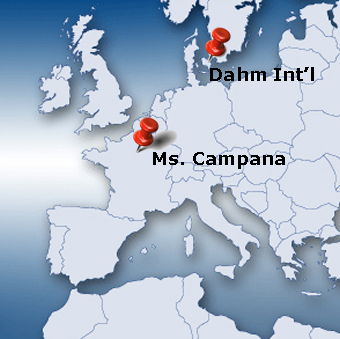 Ms. Campana based in France; Dahm International based in Denmark. Sunnyvale, CA – October 7, 2011 – Onda Corporation, the leading global provider of ultrasound measurement instrumentation, is pleased to announce that Ms. Florence Campana will join the sales team in Europe. Her company will support the sales in the European territory that includes France, Italy, Spain, Portugal, and the United Kingdom. Prior to joining the Onda team, Ms. Campana led the sales effort at Lecoeur Electronique, a French ultrasound company. There, she successfully secured key accounts by offering a do-what-it-takes attitude. She has over 15 years of sales experience, serving customers across the world. Onda's success in Europe was largely pioneered by Dahm International, led by Mr. Mogens Dahm. Mr. Dahm has been instrumental in establishing relationships with key players in the ultrasound field. He will continue to focus his efforts in growing the remaining regions in Europe and the Middle East. As the leader in ultrasound measurements, Onda continuously seeks strategic alliances to best serve its clients. Onda Corporation is the global leader in ultrasound measurement instrumentation and services. Their products are used to characterize the acoustic fields for medical, semiconductor, and industrial applications. Onda also offers services to design, develop, manufacture, and test the most complex devices for diagnostic, therapeutic, and physiotherapy applications. Dahm International, based in Denmark, is a leading distributor representing Onda's precision test instruments in the remaining regions in Europe and Middle East.